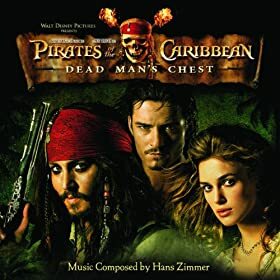 I love Hans Zimmer, and this is great music, but while there are some usable tracks, many of the tracks change moods suddenly, which makes it difficult to use as background music. I have shared my thoughts on a few of the tracks below. “The Kraken” is a great epic battle track. “Davey Jones” is creepy, starting off with a music box sound. “I’ve got my eye on you” starts out really creepy but then changes moods, which is a bit frustrating because it starts out soo goood! “Two hornpipes” is a cute little upbeat folk-dancing tune. “Wheel of fortune” has too many ups and downs for general background music, otherwise it would be a great battle track.